The CGI Commercial Collection designer fixed impact windows are available in a variety of different shapes and styles. 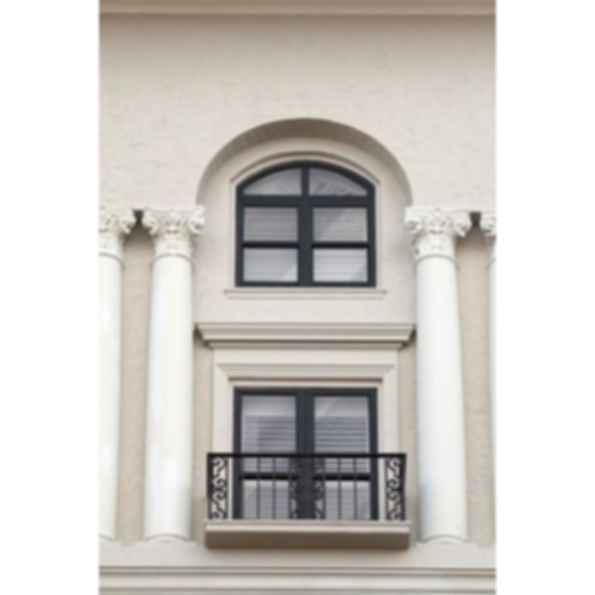 The look of these custom window designs add beauty and styling to your home, giving it a truly unique appearance. Our Estate designer windows have been designed with consistent and even sightlines to match our casement, project-out and rectangular fixed windows and are constructed with a separate vent and frame design. There are less expensive ways of manufacturing a fixed hurricane window, but consistent with CGI's heritage our Estate designer windows have been designed to provide a strong, high quality and aesthetically pleasing choice.